I am just back from my first ever #LinkyBrains event held at the Bradfield Centre in Cambridge a delightful building in Cambridge Science Park which communicates a positive vibe that cool and exciting things are happening. The invitation for the first @camlinkybrains event came from Allister Frost a CTO and Startup Advisor/Mentor and many things besides. #LinkyBrains is a new phenomena which started via social media. The first siting of the Twitter hashtag seems to have come from Alex Dunsdon on the 17th March. 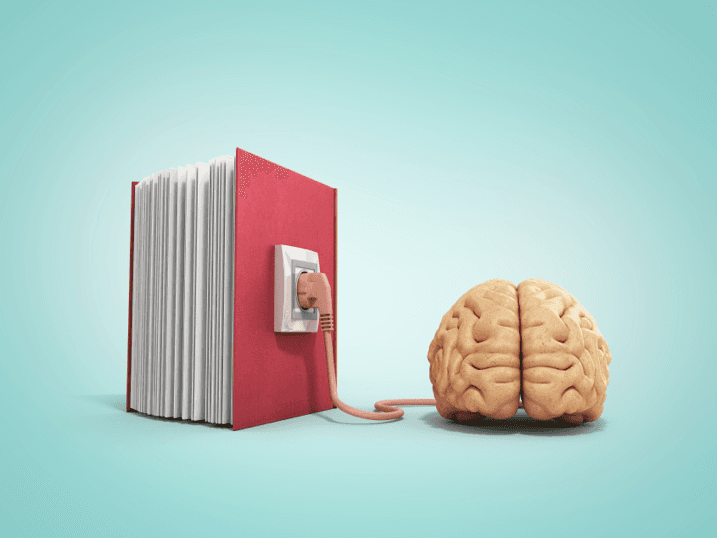 As a regular Twitter user when I spotted the hashtag I was intrigued by the idea of #LinkyBrains as my prevailing mantra as some of you will know is #OnlyConnect. I have recently discovered two other people for whom #OnlyConnect is also their mantra and I am thrilled to know both of them. The first is Kenneth Tharp CBE Freelance Arts Professional and simply brilliant keynote speaker! We are both part of the STEAMCo collective co founded by @nickcorston #ArtConnects. The second is Leora Cruddas formally Director of Policy at ASCL and now CEO of FASNA . I am keen to learn more about FASNA as I have really enjoyed reading Leora’s Blue Print for a Self Improving System, The landscape of education in our country is in transformation, making the brilliant sapphire butterfly on the Blueprint cover seem particularly apt. 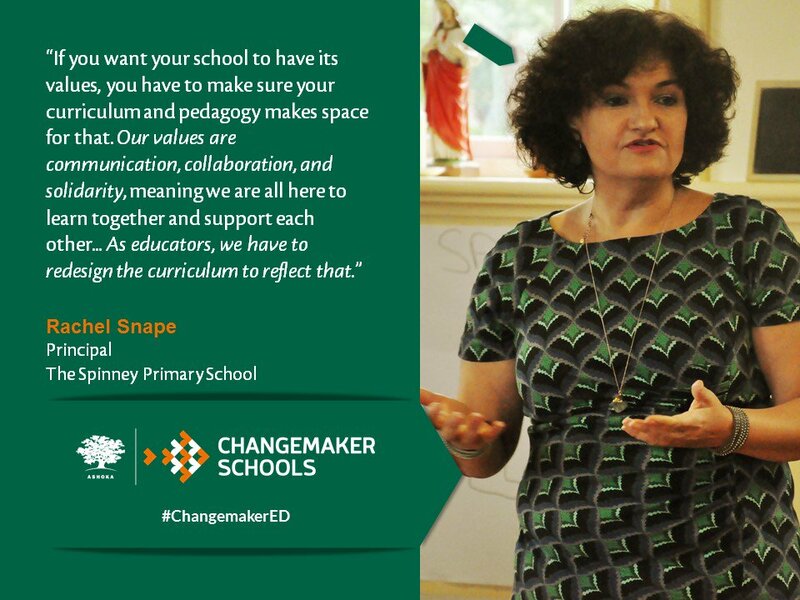 The Spinney is an Ashoka Changemaker School and I am an EduChangeleader so the idea of making connections is a familiar one. I love connecting dots and working with others, (such as the brilliant @SuzieYoung project lead for all sorts of exciting things at The Kite Teaching School Alliance) in order to make new things happen that will improve the outcomes and opportunities for teachers, communities and young people. Some of our activities include @MyCambs a Cultural Education Partnership for Cambridge, the @bigreadandwrite which is an annual Literary Event for young people which takes place at Lady Mitchell Hall but is live streamed to thousands of children across Cambridgeshire and beyond and this year was in partnership not only with Cambridge Literary Festival but also @EmpathyLabUk (Read Stories, Build Empathy, Make a Better World) and the brilliant author Jo Cotterill @jocotterillbook. We also co-construct the annual Cambridgeshire Festival of Education. The idea for @CambsEdFest came about as a result of seeing so much negativity in the press about teaching and the teaching profession. Children need teachers, Schools need teachers, Society needs teachers and we need to work positively and optimistically together to celebrate teaching as the brilliant, creative, noble (and yes demanding) profession that it is and rather than being lemmings of doom, we must be #flamingoesofhope. Last year over 900 visitors came along to our Family STEAM festival from schools and communities from all across Cambridgeshire to learn about all things STEAM. The Family STEAM Festival is a free day out for all the family to come and learn together. A wonderful celebration of all things STEM plus ARTS (Science, Technology, Engineering, Arts and Maths).Plans are already underway for 2018 so if you would like to be involved please get in touch. The beautiful VIDEO about the STEAM Festival from last October is well worth viewing. As a Cambridgeshire school, projects such @MyCambs and @FamilySteamFestival are important to us as they aim to fix the wobbly bridge between education and the innovation, tech, creative and science industries that we are so famous for in Cambridge. By promoting STEM skills alongside the Arts we hope to ensure that our young people have the knowledge, competencies and qualities to successfully navigate the future and to make the world an even better place. Fortunately this crazy shout out was received with a friendly “Yes” and a wave of hands shot up so I knew I had come to the right place. The other #LinkyBrains were a very inspiring group of people from different walks of life with backgrounds and interest in engineering, technology, logistics, design and entrepreneurialism to name just a few. Despite the variety of interests, the group were very welcoming and happy to discuss education. We talked broadly about the “problems of education in this country” and whether it sufficiently promotes the type of problem solving, creativity, risk taking, resilience and collaboration that are useful in the types of work that the rest of the group are involved in. This gave me a positive opportunity to explain why I found it so rewarding to be part of the Ashoka Changemaker Network of schools. which promote Empathy, Teamwork, Creativity and Social Entrepreneurialism. I also talked about my experiences as a member of the DFE’s Primary Headteachers Reference Group and my contribution to the Flip The System UK book. We talked about many other subjects not directed related to the day job including imposter syndrome (and found that many of us all know Kate Atkin), transport, drones, logistics, coding. And the interdisciplinary nature of the discussions made it particularly rewarding with everyone having different perspectives and experiences to add in to the equation. My mentor Professor Pam Burnard often talks about the benefits of interdisciplinary thinking and practice and researches in this area. From today’s experience I can certainly see the value of it! One thing that we seemed to have in common as #LinkyBrains was Innovation. All of us were engaged in some exisitng project or staring a new project. As I am working on setting up Innovation Trust and am the CEO Designate, I found it extremely useful to learn from what Alistair was saying as to why some start-ups succeed and others end up in the start-up grave yard. One of the reasons Allister gave was that some people simply give up, or try 10 approaches instead of trying 100, or they too closely relate the potential failure of the project with their own perception of themselves as a failure such that they might not take the risk. I can see that his insights are very valuable and I look forward to re-connecting and learning from him in the future. The #LinkyBrains then talked about how if we were to design a city from first principles that the values in the foundations would be important as they would define the shape, purpose and the design elements within. We agreed that communal places such as Temples, Community Centres, and even Shopping Centres would be important as they fulfill fundamental human needs of connectedness and purpose. I then described the visit my family and I had taken to Westfield Shopping Centre last week, the biggest shopping centre I have even been to in my life. Specifically I talked about the rather marvelous immersive Star Wars Void experience, which was very entertaining and out of this world. This then sparked further conversation about Star Wars, VR experiences, The Cambridge Escape Rooms and more #LinkyBrain ideas. What I have reflected on was that the group was very inclusive, keen to connect and identify common ground, to spot new ideas and there was excellent psychological safety between us which meant that each one of us seemed to feel safe enough to say anything that we wanted without fear of being judged by anyone else. This is crucial. 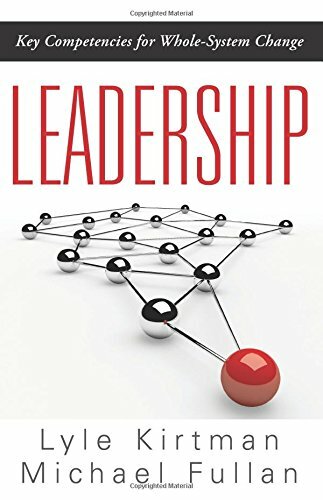 I also referred to the research of Amy C Edmondson and her book Teaming How Organizations Learn, Innovate, and Compete in the Knowledge Economy which points out the importance of Psychological Safety. I came away from the afternoon feeling very mentally stimulated and happy! It is unusual for me to meet and connect with people from such diverse occupations and interests and perhaps this is the JOY of #LinkyBrains. I look forward to the next meeting and to see what emerges. One of the questions I was asked subsequently was would it be a problem if individuals were not actually professors. I did not think this would be a problem, but to overcome this I propose that we change to name to Academics in Residence. Which makes the lovely Acronym – AIR! The aim of this initiative is to forge closer meaningful links between Universities and Schools as well as to ensure that findings from research are not only shared with schools but that schools authentically use the research to inform and improve pedagogy and practice making a difference to the outcomes and opportunities for young people. In addition, schools that are part of the AIR project will be prepared to accommodate Research activity and this will again strengthen the link between researchers, professors and practitioners. In the next few weeks we are planning to work with our wonderful friend Sarah Bevan at Purple Spoon to design the logo for AIR and we will launch the initiative at The Cambridgeshire Festival of Education on Saturday 9th June 2018 at Cambridge Faculty of Education who are kindly hosting @cambsedfest at Homerton College, Cambridge University. AIR will be a not for profit activity which aims to create a virtuous loop between Universities and Schools, Academics & Practitioners. I am really grateful to my good Twitter friend/fiend @smithsmm for his gorgeous and hopeful blog New year…New Hope. Deep breath and a big grin and for inspiring me to put down my optimistic thoughts for the start of the new academic year. It will be a shared training day with my lovely colleagues Rebecca (Headteacher) and Helen (Deputyhead) and their fabulous nearby school and the brilliant teachers and TAs who work there. It is always exciting to catch up with the Spinney team to find out about what everyone has been up to and to share holiday stories. Empathy is one of the elements that we pay close attention to in our curriculum at The Spinney, (although having recently had a conversation with Professor Felicia Huppert – Founder and Director of Cambridge University’s Well-Being Institute, we tend to prefer the word Compassion or even, based on Professor Paul Bloom’s studies Rational Compassion) and The Spinney, as an Ashoka Changemaker School which strongly promotes art, creativity, culture and connection in the curriculum, along with EmpathyLab and Empathy Museum feature in Sir Peter Bazalgette’s Book The Empathy Instinct – How to Create a More Civil Society. We feel very fortunate to be part of EmpathyLab’s network of schools and the opportunity to work on the project in partnership with another school in the Kite Teaching School Alliance is very exciting indeed and we are looking forward to learning with and from each other. When we turn on the television, or read the newspaper the need for compassion to be turned into positive action is clear if we are indeed going to have a more civil, kinder, fairer society. Trump’s apparent lack of compassion in responding to the terrifying storms battering Texas at the moment has given rise to much criticism and has been contrasted with President Obama’s actions during such catastrophic times when he demonstrated a much more humane and caring attitude towards his people during such tragic and devastating events. During his presidency Obama was well known for speaking frequently about the need for empathy in society and he described it as his most important value. If we are going to offer our young people the knowledge, skills and understanding to be successful in the future, to follow their dreams and as President Obama suggests to make the world an even better place, then teaching empathy and compassion through literature (or other ways) is an important thing for us to do. And which is why we are really looking forward to learning with our colleagues and with Miranda and Marilyn! 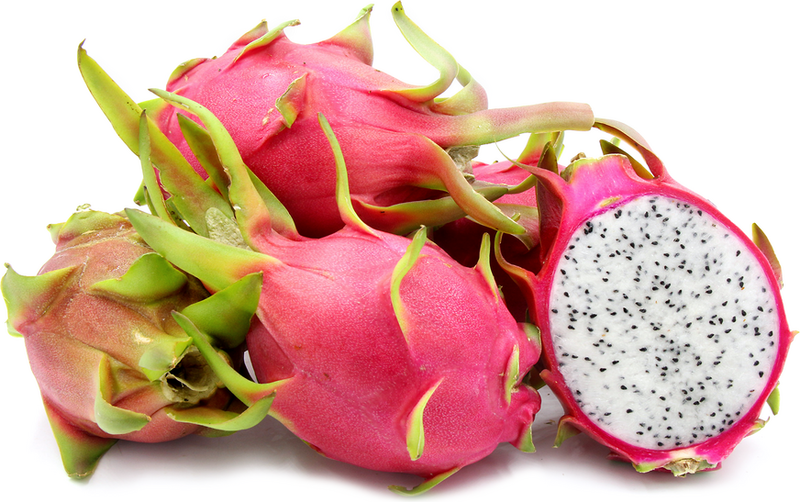 In the meantime I’d better get into the car and pop along to Big Tescos to buy the sweeties and exotic fruit. Wishing everyone a happy, healthy and hopeful new academic year! At the start of every Monday morning at The Spinney, we come together for a whole team briefing. We prepare for the visits and visitors, events and activities in the week ahead as well as reflect on the ideas, knowledge and learning of the previous week which we incorporate into our curriculum and pedagogic offer to help us to keep moving forward. Last Monday, to build on the fabulous training we had with Mind Up, we thought about the worrying trend in children and young people’s mental health and some perturbing statistics! On 16th January an Institute for Public Policy Research report was published which stated that three children in every class have a clinically diagnosable mental health condition; 90% of headteachers have reported an increase in mental health problems among pupils over the last five years, and over the same period, hospital admissions for self-harm among the under-18s are up 50%. The government has promised £1.4bn for mental health services for children and young people up to 2020, and there is a plan for more trained counsellors to be based in schools. Whilst I have no doubt that many schools will welcome this additional funding I worry that this may not be new money at all, and in fact be re-direct finances that had previously gone to specialists in CAMH. It seems that schools are increasingly being seen as the panacea for all society’s ills and are continually asked to deliver on all fronts including now mental health! Schools routinely as part of their curriculum and pastoral offer do all they can to mitigate against bullying, eating disorders, self-harm, drug addiction, stress, but I believe it is unfair to expect schools to do all this alone and promoting good mental well-being should be the responsibility of everyone in the school and wider community . I also worry about the paradox of this new expectation of our education system. Young people in England are among the most tested in the world, we know that many young people dread the tests, they suffer from performance anxiety, they are concerned about how they will look to their friends and family if they do not secure the predicted grades, they are fearful of how their results will impact on their futures and many young people experience high levels of stress, and in the jurisdictions which this government seems to want to emulate some young people even resort to suicide. Could it be that education rather than being the solution for young people’s mental ill-health is actually part of the problem! I was interested therefore thanks to a tweet by @beckycarlzon to learn about the campaign More Than A Score UK. More Than a Score is a growing coalition which includes the NUT, BERA, UKLA and CPRT. Their concerns are that the current assessment system narrows the curriculum, sets unrealistic standards of children, that it does not meet the needs of our children, has a negative impact on children’s self-esteem, well-being and mental health as well as having a negative impact on teacher’s well-being and mental health. If as the Institute for Public Policy Research report suggests secondary schools are facing a perfect storm, then we really need think carefully about the climate of our classrooms, our schools and our education system. We need to do as much as possible to challenge a paradigm fixated on a narrow view of educational success. We need to consciously and confidently bring happiness and joy into young people’s lives and recognise that if we are the ones that make the weather, that we must bring sunshine rather than rain. As I stood in the muddy park puddles, in my non glamorous brown boots and my equally non glamorous black padded jacket which makes me look like Kenny from South Park, I found myself listening, just listening to the birds in the trees and contemplating how delightful it is to stop statue-still and breathe. Aaah! Wednesday 5th January was our first day back at The Spinney and the training day we had organised was with Mind Up from The Goldie Hawn Foundation. The training was amazing. Very informative and stimulating and also great fun! Such a lovely way to start the term. Rachel Bailey was our Mind Up Trainer and we were very fortunate to have also been joined by Julia Organ who is the Uk Director of Education and Training. 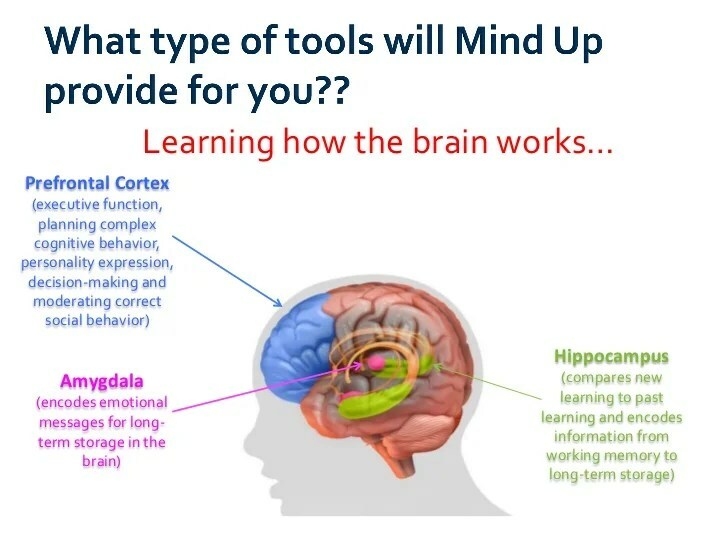 Mind Up is a teaching framework of 15 lessons based on 4 pillars through which the children, school colleagues and community learn about Neuroscience, Mindful Awareness, Positive Psychology and Social and Emotional Learning. It is very inspiring to know that the children will be learning about parts of their brain, how they work and how they influence feelings and actions. Learning about the brain is just one of the 4 pillars but one that I know the children will love to learn about and thanks to our research links with the PEDAL Centre for Research on Play in Education, Development & Learning as well as Cambridge Neuroscience The Spinney educators and children are becoming well-versed in the importance of the role of self-regulation in learning. We are just at the very start of our Mind Up journey and, whilst thanks to a number of pedagogic and curriculum approaches including PHSE, SEAL , Outdoor Learning and SEAS4ALL as well as our whole school ethos that promotes cooperation and harmony we know that we already have a lot in place, we are excited to see what three calming brain breaks throughout the day will do to continue to contribute towards our school ‘s positive climate. I was fortunate to meet the Mind Up Uk Director Julia at the Ashoka Changemaker Schools Summit in Ireland where we were offered an initial taster session. 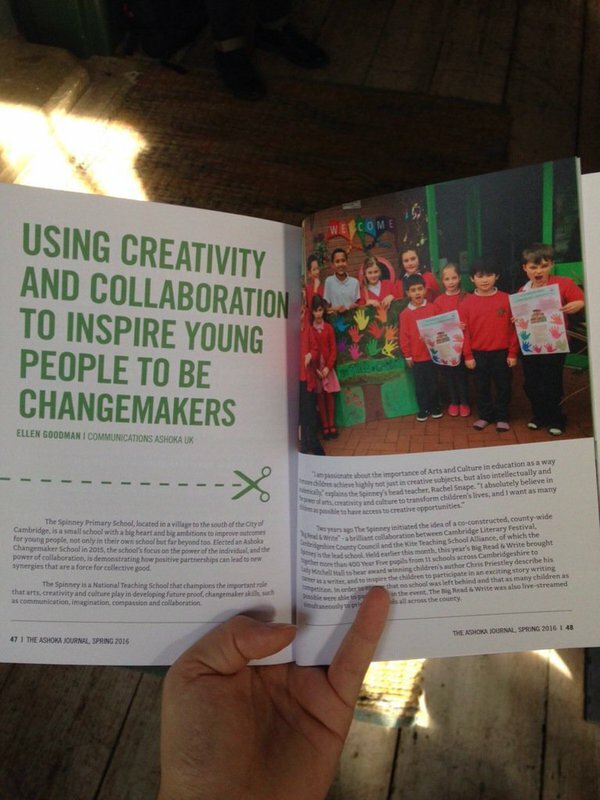 The Spinney is an Ashoka Changemaker School one of a network of 15 schools in England and one of over 200 in the World. 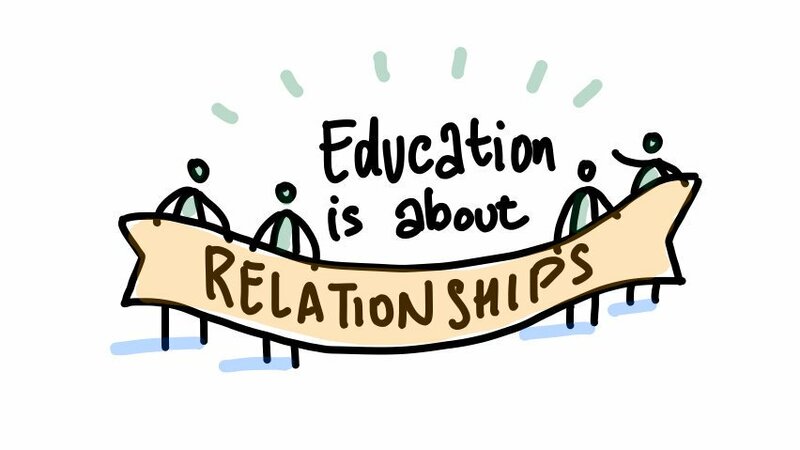 Being part of this network, connecting with Changemakers and schools across the globe inspires us to think broadly about the purpose and meaning of education, and the importance of giving our young people the skills, knowledge, attitudes and attributes to navigate the future. One of the key ideas which threads through the Mind Up framework is that while it is true that some people may be born with a propensity for happiness, happiness is not innate and it can be taught, it can be learnt and the level of happiness we experience can be a choice! 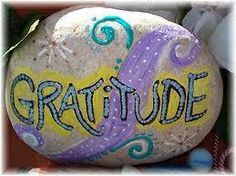 Daily Acts of Gratitude is one way to increase our happiness quota! As part of the training Spinney colleagues were invited to stand in a circle, pass around a beautifully painted stone and name something we were grateful for. Responses included family, friends, great colleagues to work with and so on and by the time all 32 of us we had stated what we were thankful for, our instinct was to applaud the positivity of the experience! Another aspect that resonated greatly is that Mind Up aims to promote the idea of Optimistic Schools. The Spinney has 7 values which underpin the life and work of the school. These are child-centredness, teamwork and community, excellence, learning, improvement, responsibility and optimism. So back to Bramble and me in the park. It may be the effect of climate change that has brought the chaffinches out to sing more loudly from the branches than usual, or it may have been the positive effect of the Mind Up training on Wednesday which caused me to stop, stand and listen mindfully to the birds this morning, whichever it was and I’d like to think it was the latter, it felt good for my soul, positive for my spirit and will hopefully help me to sustain my emotional balance and well-being as one week ends and another one is about to begin. Thanks to @thatboycanteach for suggesting the #WeeklyBlogChallenge17 One down – 51 to go! I have been meaning to write a blog for a few weeks (months) now, but you know how it goes – all those ideas swirling around your head and no definitive thread to tug on to unravel all that you’ve been thinking about. The Big Issue shared a video on Twitter of John talking vociferously in the House of Lords about the importance of Libraries, he knows only too well about the impact of illiteracy on young people and the statistics on the number of prisoners currently incarcerated who have poor levels of reading. Education, teachers and society have a big job to do. I would much rather see Justine Greening talk about Social Justice than Social Mobility. There is huge injustice in our school system and the current policies seem to be set on making the divide between the haves and the have-nots even greater! Becoming an Ashoka Changemaker School has been very rewarding. 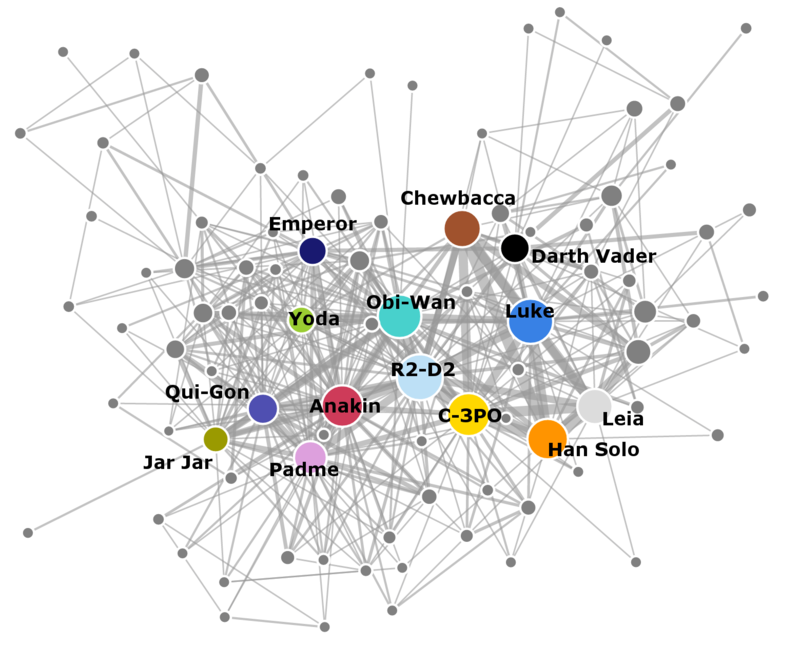 We have been in this network since October 2015. It has given our school the framework for even broader thinking about the Purpose of Education. This is a topic which keeps everyone busy! I am quite fond of this quote from Sir Ken Robinson on the Aims of Education, which also appears on our school website. Being an Ashoka Changemaker school connects us with like-minded schools and fellows and there is a richness to being in this network that is infinitely inspiring! Meeting Michael Sani being just one of the wonderful opportunities! Michael started a wonderful initiative called Bite The Ballot which encourages young people to “fight for change that they might not get to see but their children might get to see”. Here’s Michael being name-checked by one of the finest and most elegant Presidents the United States has ever known! Being an Ashoka Changemaker School helps us to reflect on the skills that young people require not only to be academically successful, and to have a creative and fulfilled life, but also to ensure they are equipped with an entrepreneurial spirit and innovative ways of thinking to help resolve the social, ecological and political challenges we face now and in the future, and the compassion to make the world a better place! 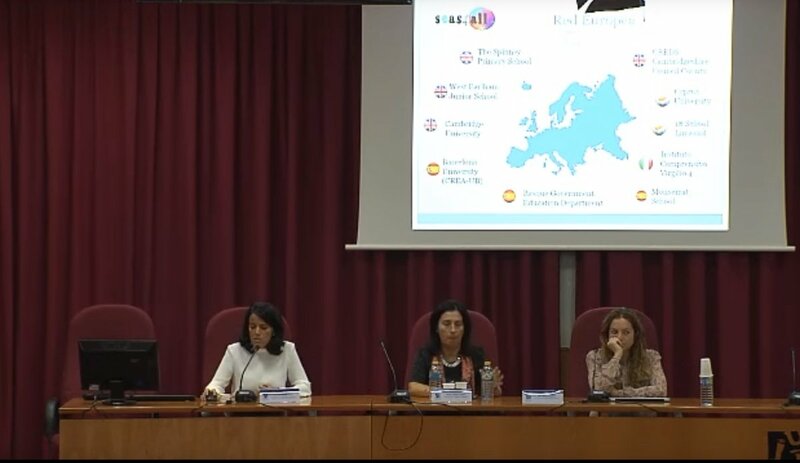 Another inspiring partnership we made last year was with an Erasmus Project “Schools as Learning Communities in Europe: Successful Educational Actions for all”. Which you can also find at @SEAS4All_eu SEAS4All is a recent European Commission project to bring the pedagogogies of Learning Communities that have been successful in over 600 schools in Latin American Countries, and which are the positive legacy of Paolo Friere, to schools in Europe. Starting with a couple of pathfinder schools in Naples, Cyprus, and England, Maria Vieites Casado as the European Project Lead is connecting schools with their local communities, the University (in our case Cambridge University Faculty of Education), and Local Governments to introduce 6 effective pedagogic approaches that not only improve instrumental teaching, including SATS Results, but also promote positive pro-social values in their school and the wider school community. 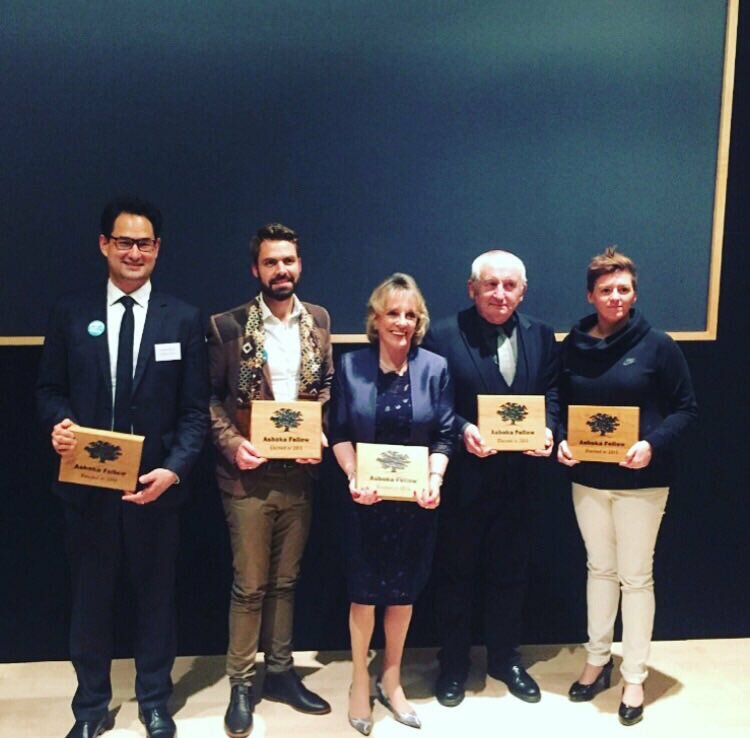 Underpinned by the important and significant research of Professor Ramon Flecha at Barcelona University, SEAS4All sets out 6 educational actions to support inclusion and improve social cohesion. One of these 6 actions is Dialogic Literary Gatherings. Dialogic Literary Gatherings, or as the children call them DLGs, involve the whole class of 30 pupils sitting in a circle with their class teacher discussing extracts of a classic text. The children decide on which classic text they want to read, they prepare for the DLG each week by reading a chapter in advance and selecting a passage that they want to discuss and then the whole group engage in conversation for about 40 minutes, based on their chosen extracts. The DLG in Year 5 is going particularly well and the children are reading an adapted text of Homer’s The Odyssey. Thanks to careful and thoughtful facilitation by the class teacher the children engage in reasoning, discussion, listening and debate, and the quality of their interactions is very impressive. Underpinning DLGs are a number of values and skills that are enacted through this educational action, these include Egalitarian Dialogue, Solidarity, Compassion, Humanity, Communication and Critical Thinking. Thanks to @VisualityBe for this image. In finding out about Learning Communities, I was fortunate to have spent three days in January studying with Professor Flecha and other educators from Italy, Spain, Cyprus and England. The training included a visit to Montserat School, about an hour’s drive from Barcelona, which is a Learning Community School and which thanks to the inspiring leadership of the Headteacher Nuria, who has worked with her team for 10 years, has ensured that the school despite being in a very socio-economically challenging neighbourhood, is now one of the top performing schools in the Country! Just before half-term I was invited to participate in a European Ashoka Change Maker Summit in Ireland! This three day event spent with 150 other change makers was one of the most inspiring experiences of my life. The combination of beautiful mountain scenery, the wonderful companionship of the other participants and the unimaginable kindness and warm welcome of Ashoka Colleagues and our Irish hosts have given me privileged memories to last a life time! On the second of the three days I had been asked to present a workshop. My workshop which will come as no surprise to those of you who know me, was #OnlyConnect. As part of the workshop, I invited colleagues to engage in a DLG based on the first chapter of The Little Prince. Although I know the book well, I had forgotten how meaningful and evocative the first chapter would be to people working in education. Have a look for yourself to see what I mean. Despite coming from all parts of Europe, the DLG allowed us to illicit a strong sense of community as we brought our own unique experiences, culture and thoughts to create a shared meaning from the text. Sharing stories, reading books, engaging in egalitarian dialogue, visiting libraries are all fundamental to a good society! Through these activities we develop Solidarity, Compassion, Empathy, Democracy, Communication, Critical thought and debate and we share a dream for a world based on hope not fear! Schools, Libraries, Theatres, Parks, The Market Place every place where people meet are powerful places to share values and are microcosms of the world we wish for. With all this in mind, it is important that we do whatever we can to save our libraries, to support schools, and champion the rights of everyone to have access to books and learn to read! My Teacher Told Me . . . How the story of “MyCambridge” began! In the summer of 2013 on a very hot mid July day I went with my daughter Esme for a visit to The Fitzwilliam Museum in Cambridge. It was the end of the summer term and end of the academic year and despite the temptation to spend the first Saturday of Summer lazing about we went off in search of cultural edification. A quick Google search reminds me that we would have seen among many other treasures an exhibition of Swiss water-colour miniatures as well as an exhibition in conjunction with the Museum of Archaeology and Anthropology on the origins and history of 6,000 years of the afro comb. Mum: There is no way we can get the buggy up those steps! Child : There’s a flat entrance round the side for disabled access and buggies. Mum: Well how much is it going to cost for us all to go in there? Child: It does not cost a penny, Mum. It’s free. Mum: Are you sure, are you sure Ben that we can go in there? Ben: (Stepping back from Mum and the buggy in exasperation and pointing!) Mum, my teacher told me The Fitzwilliam Museum belongs to me! Jumping forward to 2016, and thanks to the skill-full “knitting” and connecting of Michael Corley and Steph Hogger of Festival Bridge My Cambridge is the name of a nascent Cultural Educational Partnership, one of the 50 that was announced by Darren Henley, Ed Vaizey and Nick Gibb in October last year as part of Arts Council England’s Cultural Challenge. My Cambridge brings together Cambridge City Council, Cambridge County Council, The Kite Teaching School Alliance and The Cambridge Arts Leaders. Through various initiatives and projects these organisations are promoting the take up of Arts Award as well as sign-posting to the wonderful opportunities within the creative subjects and industries such as art, poetry and graphic design, music, song-writing, performing, creative writing and illustration, television, coding and making, acting, directing and filmmaking. 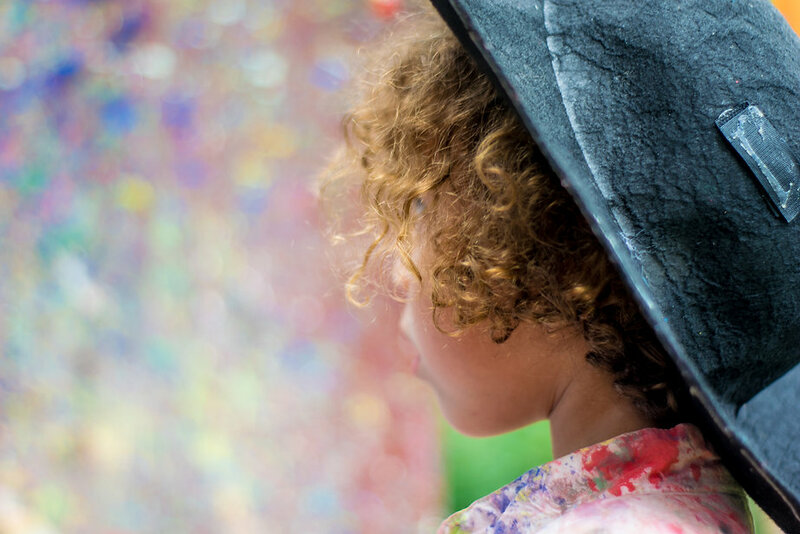 My Cambridge in partnership with The Kite Teaching School Alliance have appointed 5 Cultural and Arts Leaders for Schools and Academies to support schools with achieving the Arts Mark. Cambridge is the second fastest growing City in the Country. Over the last few years many world renown industries have joined our Cambridge community. New housing developments are popping up all the time, and the City works pro-actively and positively to make newcomers welcome. As the City grows, providing greater opportunities for commerce, tech and bio-tech industries, it’s right that corporations recognise how they can contribute positively to the vision of MyCambridge in the way that Raspberry Pi does. We are hoping that a new connection with Form The Future will be just the synergy we are looking for to help us connect with other stakeholders beyond those from arts and cultural sectors. As more and more partners join: arts organizations, individuals, businesses, industry, education and commerce we will soon be able to convey a compelling connected narrative that Cambridge is a unique and dynamic City full of ideas, imagination and innovation. 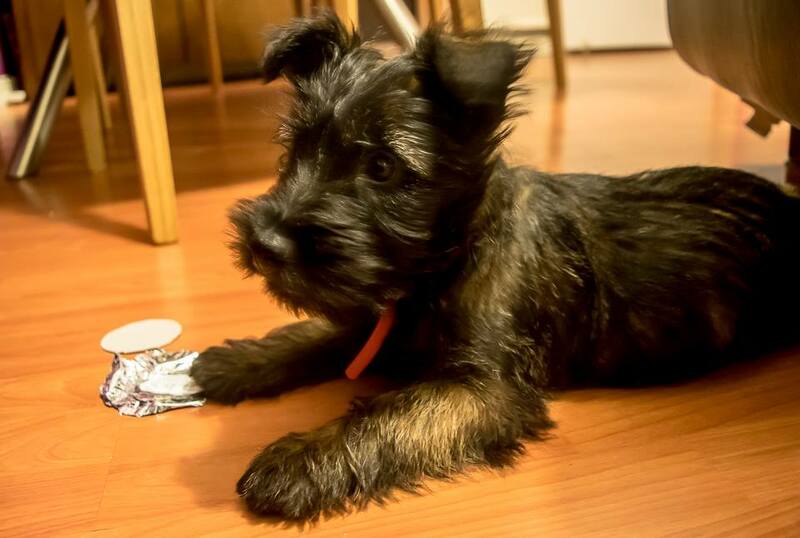 We are not quite there yet, so if you think you can help us, please get in touch. . . It takes a good City to raise great Citizens! Every Monday morning at The Spinney we hold a weekly briefing. It’s for everyone on the team – teaching assistants, office colleagues, caterers, site managers, teachers, volunteers. We talk about how the weekend went and share our stories, we look at the week ahead, any special events or visitors to welcome and then I share my headteacher’s reflections. In addition to being a Headteacher I am a National Leader of Education, and as a system leader I sit on the Cambridgeshire School Improvement Board. Again in this amazing era of Global Connectivity I think it is important for us to be efficient and to learn from successful educational strategies across the world. This recent report Beyond PD – Teachers Professional Learning is another useful resource for system leaders. It is designed as a resource for teachers, leaders and policy makers wanting to improve teacher professional learning in their schools. The report is accompanied by extensive appendices and a Toolkit with resources that high-performing systems and schools have used to develop their professional learning. It highlights how high-performing systems integrate both adult learning and student outcomes within effective professional learning design. The rise of collaborative learning communities in British Columbia has been slow but steady since 2000. The communities are now the main avenue for professional learning in many districts across the province. Another publication that is being launched at the RSA tomorrow evening is Creative Public Leadership: How School System Leaders Can Create the Conditions for System-wide Innovation I am sorry that I will not be able to attend not only because this will be a very inspiring evening but because the fabulous David Whitebread (Director of PEDAL Research Centre on Play in Education, Development and Learning, University of Cambridge) will be on the panel! The Spinney is currently involved in a research project on Curiosity as a skills that underpins Science Inquiry. I found this publication resonated greatly, and I found the term “System Entrepreneur” very useful for what I hope to achieve both in my own school and in education in general. My mantra is “Only Connect.” I find it useful when meeting new people, or as a way to combine ideas and to identify new synergies. I found this model below to be a helpful one and it can be used to reflect on how we will participate in various circumstances, such as work groups or team meetings. On some occasions for example when undertaking training (e.g. Child Protection and Safeguarding training) then I see that my role is to be largely as a Consumer of Information. In contrast when working with colleagues either at School level or at Local Authority level, where there is a shared focus on problem solving, then my responsibility is to be a Catalyst working alongside others to generate new ideas, possibilities and realities. 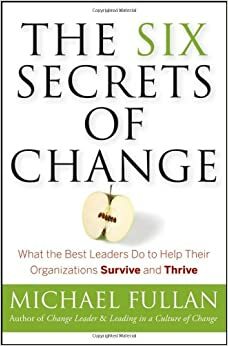 In 2009 I was fortunate to hear Michael Fullan who came to a conference in Cambridge and talked about The Six Secrets of Change and he even signed a copy of my book. I related to all the 6 secrets and it sustained me well through the initial years of Headship. The world of education has moved on a pace since I became a Headteacher 10 years ago and The Spinney is now a National Teaching School and the lead school of The Kite Teaching School Alliance. The aim of our alliance is to be inclusive, innovative and inspirational. 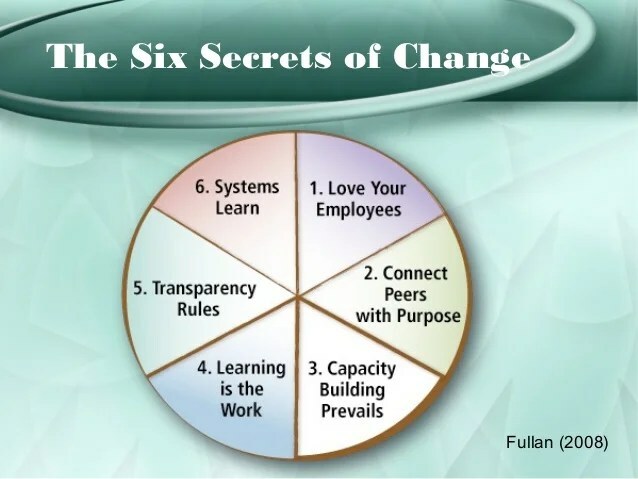 In their book Leadership, Lyle Kirtman and Michael Fullan describe 7 Key Competencies for Whole System Change. Builds external networks and partnerships. Of all the competencies it is the 7th that particularly resonates. I think this is a very exciting time to be in education. I am hugely Optimistic about what can be achieved through connections, networks and partnerships. 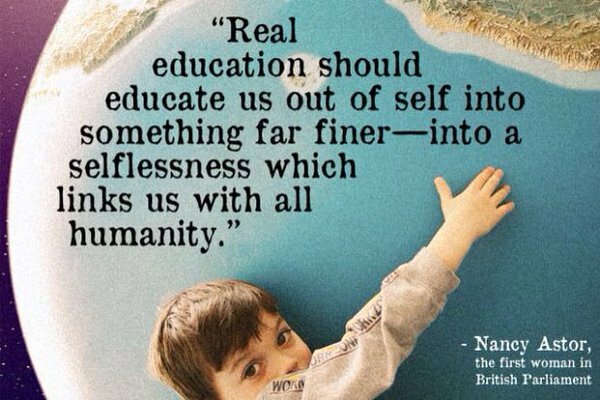 Education is a brilliant journey and we can learn from all the books, blogs and people we meet along the way. I have been a Headteacher for ten years and am a National Leader of Education. The Spinney is the coordinating school of The Kite TSA, Cambridge – if you would like to be part of this growing Alliance of positive, creative and innovative schools, please feel free to get in contact to find out more.